One of my favorite children's stories is 'The Giving Tree' by Shel Silverstein. 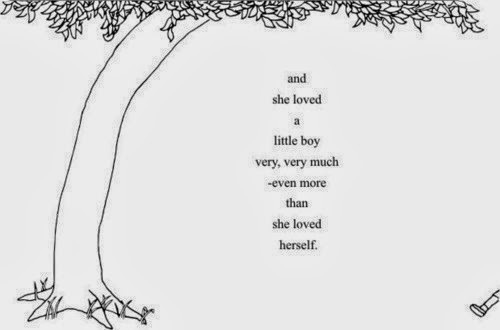 The tale chronicles the life of a little boy and the apple tree that gives of herself to that little boy. In fact that tree just gives and gives and gives without much gratitude in return. Throughout the life of the boy he just continues to take and take from the tree. He uses its branches to make a house and then later he cuts it down to a stump to make a boat. But at the very end it is that stump that the boy now man finds comfort in. I know it is just a fictional account but I find so many metaphors to life. 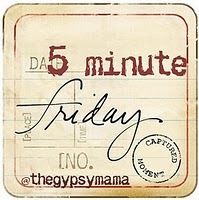 We as mothers, wives and daughters are tasked with giving and giving and giving. It is hard. It is tiring. It is frustrating. But in the end when that little one climbs up into our lap or that husband holds us close or that aged parent clasps our hand and smiles it suddenly all becomes worth it. I pray that at each stage of my life I will continue to give without bitterness. I pray that I will continue to give without expecting something in return. I pray that I will give until I am completely used up and my LORD welcomes me home. Wow! Those are mighty powerful words and even more powerful prayers. Thank you for your incredible inspiration in this reflection. I am especially thankful to you for your words about wanting to give without bitterness. That is something with which I struggle at times. Thank you for sharing your words and your heart with us today. I love this this post! 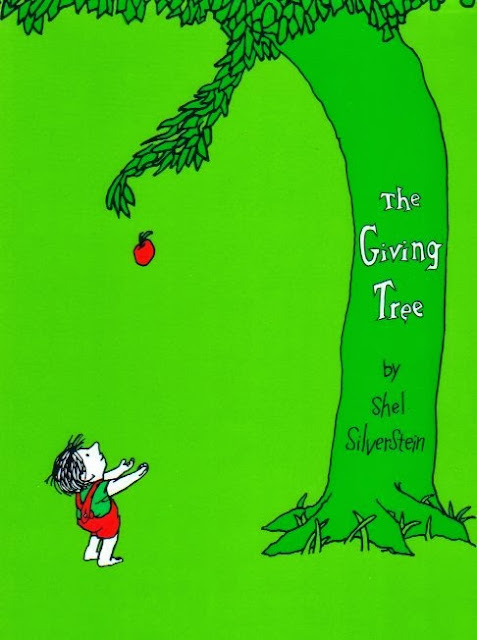 The Giving Tree is one of my all time favorites and I love your application. Thanks for sharing!